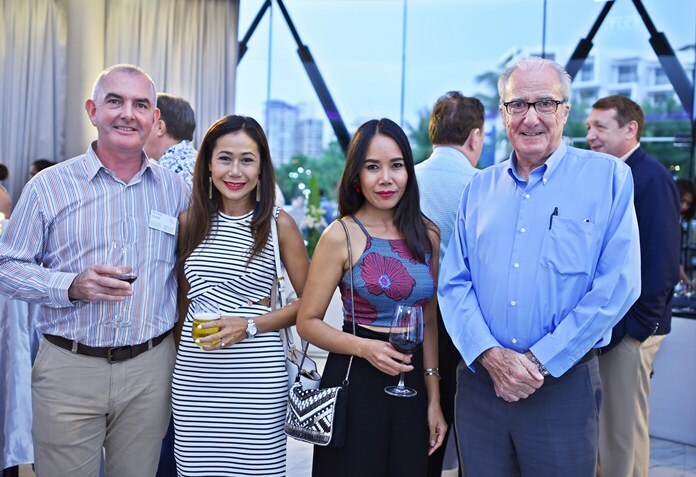 The June monthly networking for the Combined Chamber of Commerce was held on Friday the 17th at the Drum Room of the Hard Rock Hotel Pattaya and was hosted on this occasion by the American Chamber (AmCham). 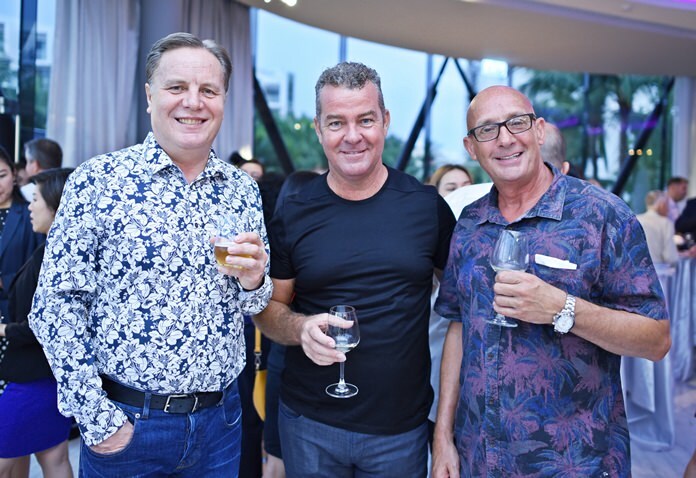 (L to R) Paul Strachan, assistant editor at Pattaya Mail chats with Craig Mackenzie and David Pollock from Prtr Recruitment. 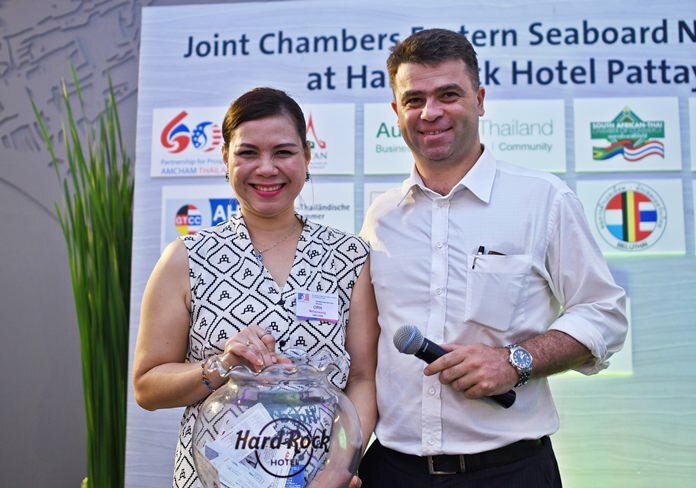 The event had two sponsors, the first being the Hard Rock Hotel Pattaya, famous for its huge pool, foam parties, musical themed rooms and of course the Hard Rock Café. Also supporting the networking was a language company called Wall Street English, which provides a unique learning method that combines the best education methods into one study cycle, allowing students to learn English in a natural way and speak it with confidence. The Drum room is a meeting space above the Hard Rock Café and was the ideal venue for this type of event. A circular air con room, it has an outdoor terrace for those wanting to catch the sunset over Pattaya Bay. 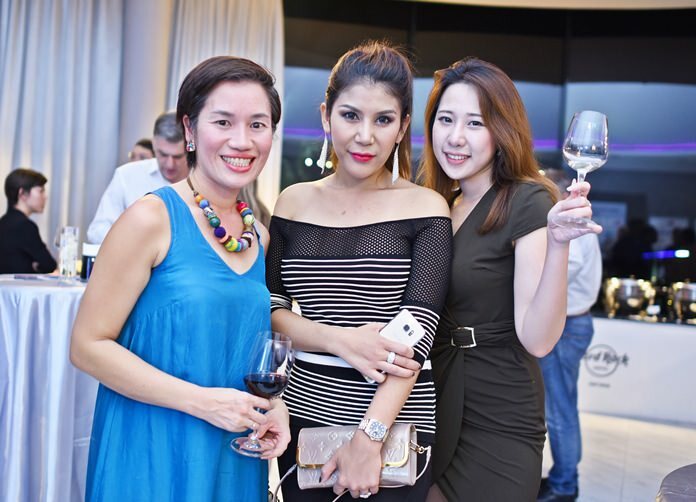 (L to R) Corporate Account Managers at Wall Street English, Thailand, Watchara Chutlertsakul and Maneenuch Jongraktrakul. The staff from the Hard Rock ensured that the glasses were kept filled and there was a tasty selection of snacks. 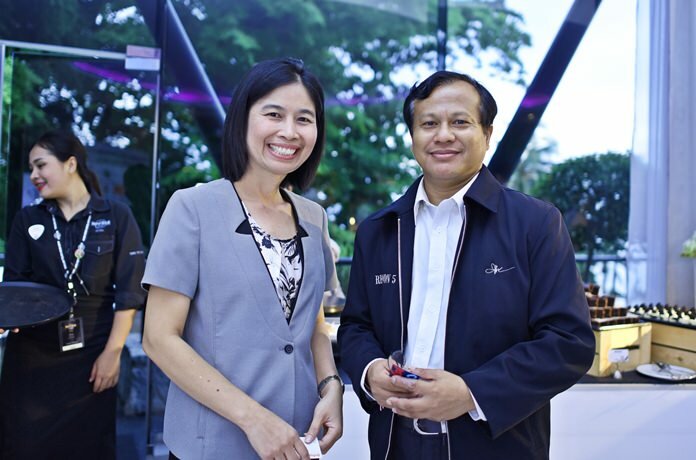 (L to R) Wilailuk Sangsukeelux, Senior Corporate Account Manager at Wall Street English Thailand chats with Phitsanu Thepthong, business development manager at Pattaya Mail. Representing the American Chamber was David R. Nardone, president and CEO at Hemaraj. 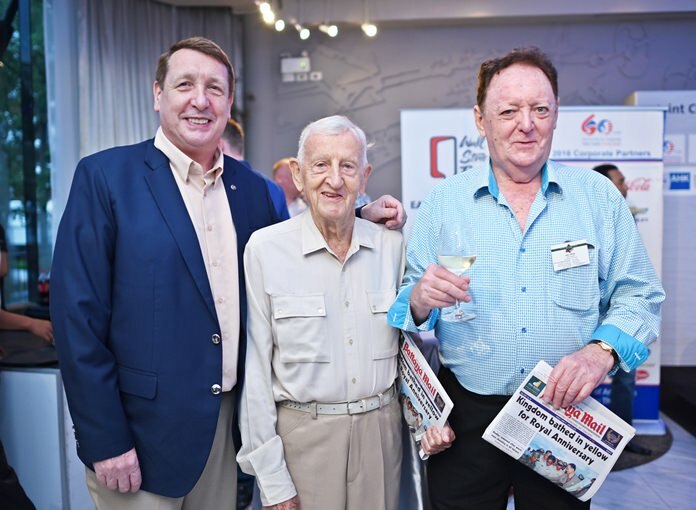 Simon Mathews on behalf of the Brits, Alan Riddell South Africa, and Dr. Roland Wein, executive director at German Thai Chamber of Commerce were also there. 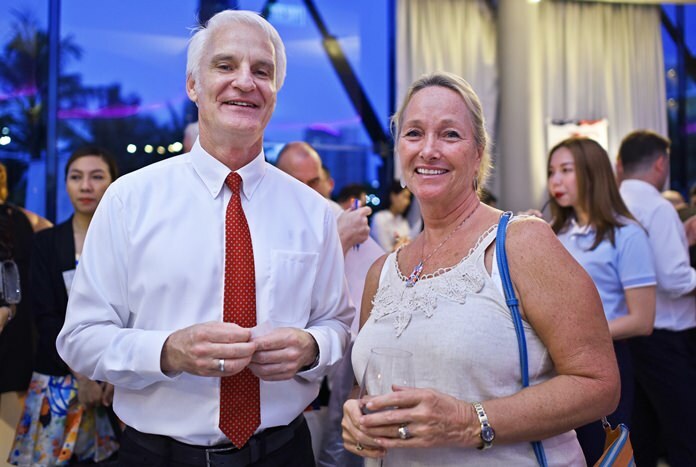 Pattaya Mail media group have also enlisted Jo Klemm as Executive Marketing & Advertising Manager of the soon to be relaunched Pattaya Blatt, the German language newspaper for Thailand, and Phitsanu Thepthong, business development manager at Pattaya Mail. 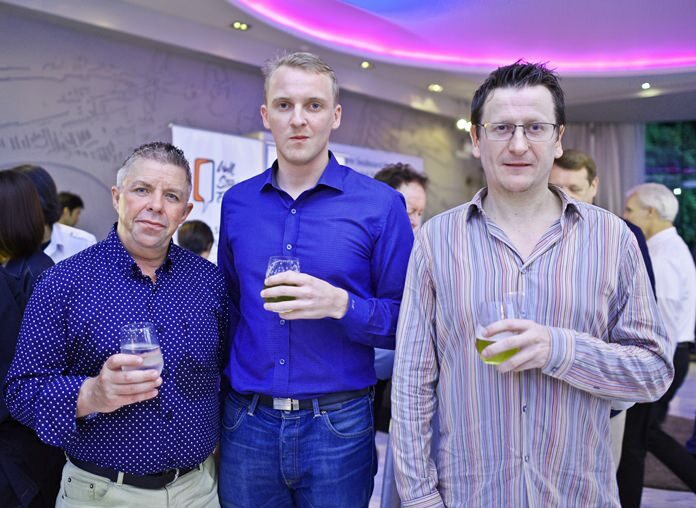 (L to R) Simon Matthews, country manager at Manpower, Anthony Kelly from Red Mountain Co., Ltd., and Ray Harrison from Burnley Developments. Businesses represented on the evening included CEA project logistics, Prtr Recruitment, Manpower, Red Mountain Company, Burnley Developments, Pecunia Asset Management, Niedax, MB Thailand, Check-6, SCSI Quality Service Thailand, Adelphi Digital Consulting Group, V. Pack & Move (Bangkok) Kingston Hotels Group, Cape Dara Resort Pattaya, Best Metal works, IBM Thailand, AT Asian Trading machine Tools and Knight Frank Chartered Thailand. 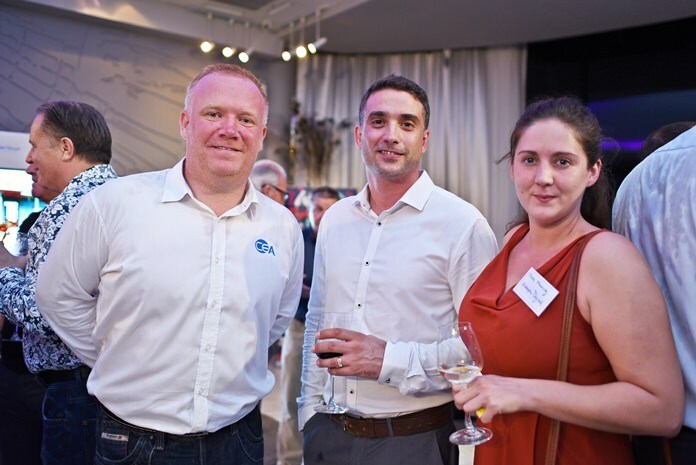 The next Combined Chamber networking for the Eastern Seaboard will be held on Friday the 22nd of July. Full details will be published in forthcoming editions of the Pattaya Mail. (L to R) Craig Muldoon, consultant at Pecunia poses for a photo with Chumhakan Kawla, Nadia Swan and the Doc. (L to R) Brian Songhurst, Archie Dunlop and Allan Riddell, advisor at SATCC. 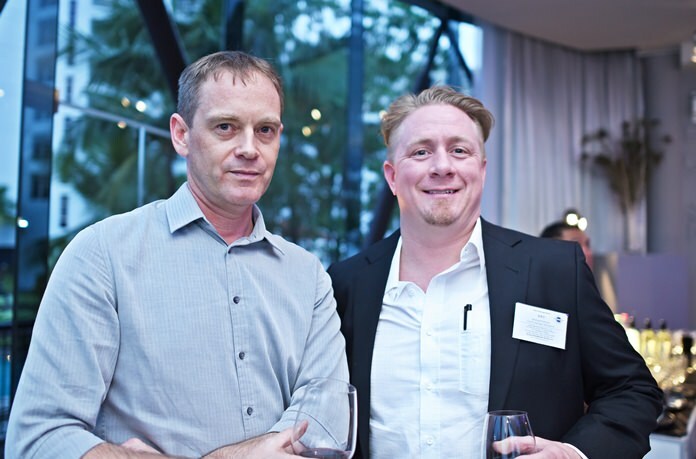 (L to R) Ken Brookes, managing director at Niedax (Thailand) Ltd., and Michael Parham, country manager at MB Thailand. (L to R) Timothy I. Lock, senior consultant at Pecunia, Derek ‘Stretch’ Taylor, country manager at Check-6 and James ‘Gibby’ Gibson, coach at Check-6. 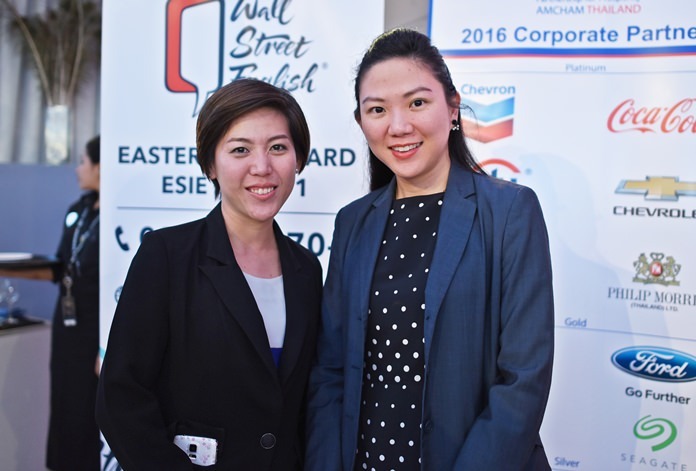 (L to R) Coenie Visser, corporate ESL consultant at Wall Street English Thailand speaks to Rosanne Diamante from WWM. 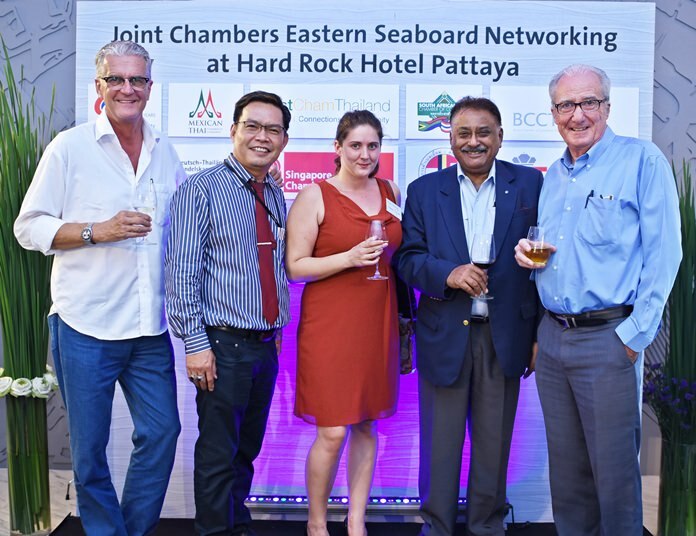 (L to R) Jo Klemm, marketing & advertising manager at Pattaya Blatt, Peerasan Wongsri, managing director at GO Property Thailand, Kate Manning, group commercial manager at Adelphi Digital Consulting Group, Peter Malhotra, managing director at Pattaya Mail and Dr. Iain Corness. 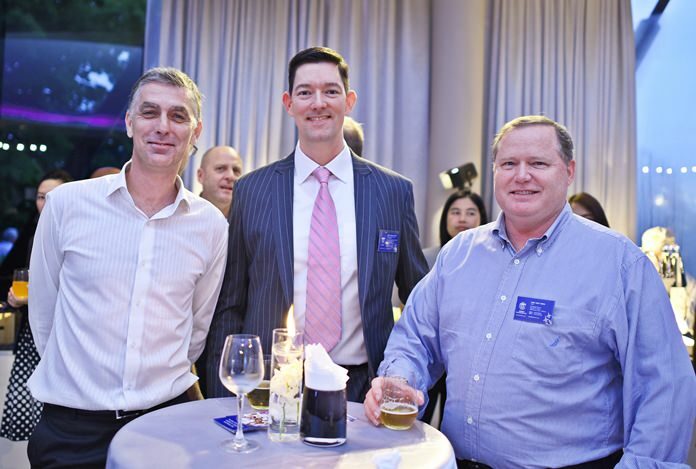 (L to R) Sarudha Netsawang, membership services director at AmCham Thailand, Prutikun Chaifoo, general business support at SCSI Quality Service Thailand, and Bryan Bowman, Southeast Asia Regional Manager at SCSI Quality Service (Thailand) Ltd.
(L to R) Earl C. Brown, MarCom manager at CEA Project Logistics, Michael Andrews, operations manager at CEA Project Logistics, and Kate Manning, group commercial manager at Adelphi Digital Consulting Group. 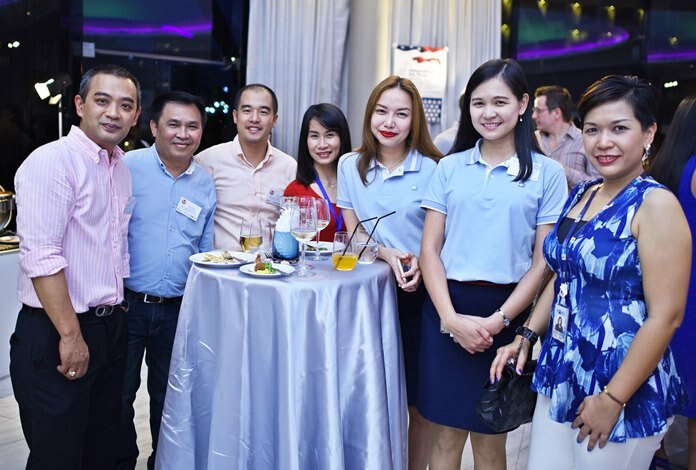 (L to R) Watcharapon Chanthaduang, sales manager at Cape Dara Resort Pattaya, and the Hard Rock Hotel Pattaya team, Boram Jang, sales manager-Korea, Kwanchanok Sapprasong, assistant marketing communications manager and Marut Srisupapol, director of sales and marketing. 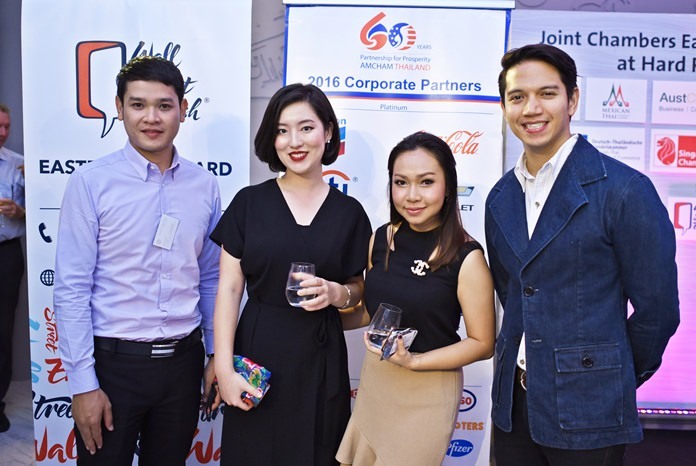 (L to R) Krisada Parnitvithikul, operation director at Best Metal works Co., Ltd., Pairat Srikluab, marketing manager at V. Pack & Move (Bangkok) Co., Ltd., Nuttacom Rungrassamee, marketing director at V. Pack & Move (Bangkok) Co., Ltd., Natchapan Kitjachotanan, Wallapha Sawasdikool, Janya Rattanaliam, head of the international marketing department (domestic) at Bangkok Hospital Pattaya, and Patcharaporn Korbuakesorn, head of membership, events and communications at GTCC. 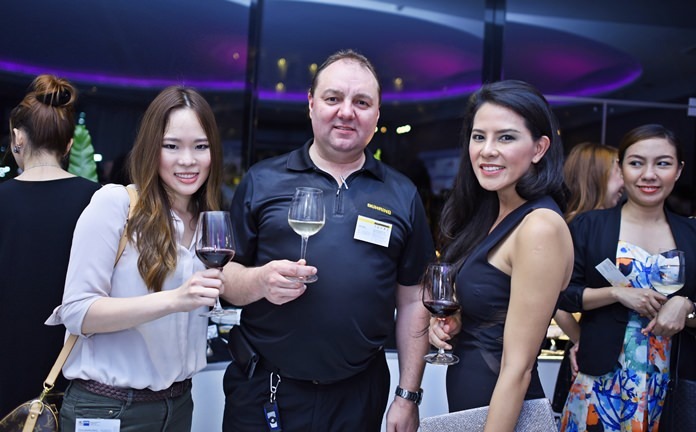 (L to R) Ganya Aparaks, membership, event and key account manager at GTCC, Ralf Alber, managing director of Guehring (Thailand) Co., Ltd., and Shanya Termsinwanich, sales manager at Grand President by Kingston Hotels Group. 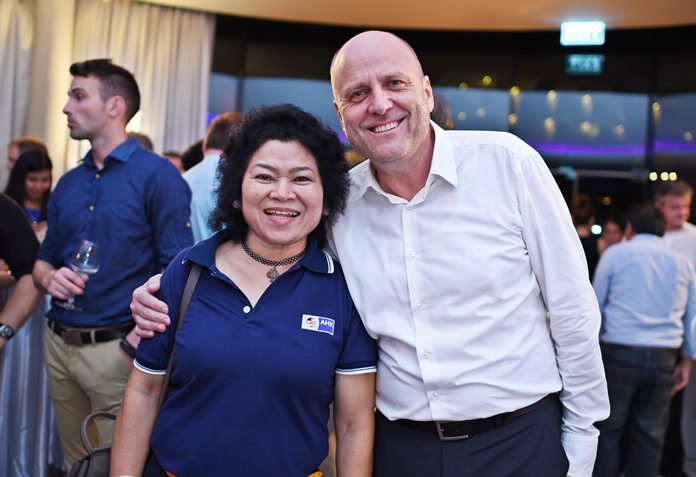 (L to R) Sarudha Netsawang, membership services director at AmCham Thailand, and Vincent Pourre, corporate account manager at Wall Street English Thailand. 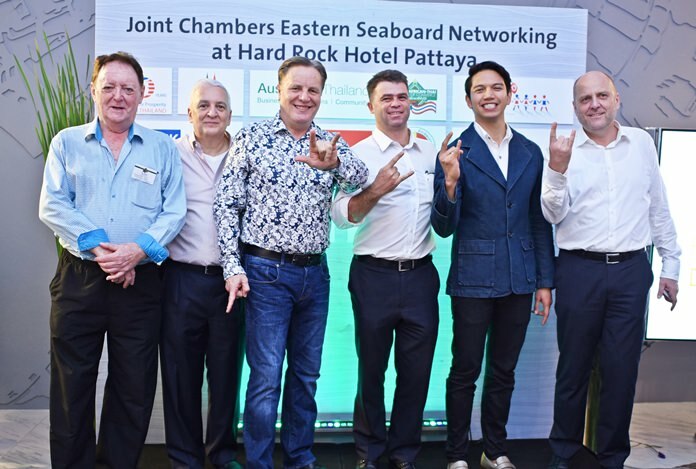 (L to R) Allan Riddell, advisor at SATCC, David R. Nardone, president and CEO at Hemraj, Simon Matthews, country manager at Manpower, Vincent Pourre, corporate account manager at Wall Street English Thailand, Marut Srisupapol, director of sales and marketing at Hard Rock Hotel Pattaya, and Dr. Roland Wein, executive director at GTCC. (L to R) Somnuk Yodnil, events manager at GTCC and Dr. Roland Wein, executive director at GTCC. 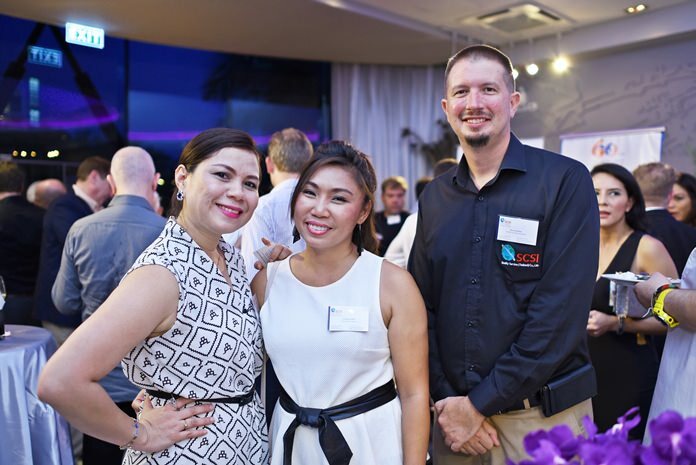 (L to R) Kanavaree Morphett, client executive at IBM Thailand, Waraporn Hausmann, shareholder and managing director at Asian Trading machine Tools, and Lizhen Lynette Fang, property consultant commercial agency at Knight Frank Chartered Thailand. 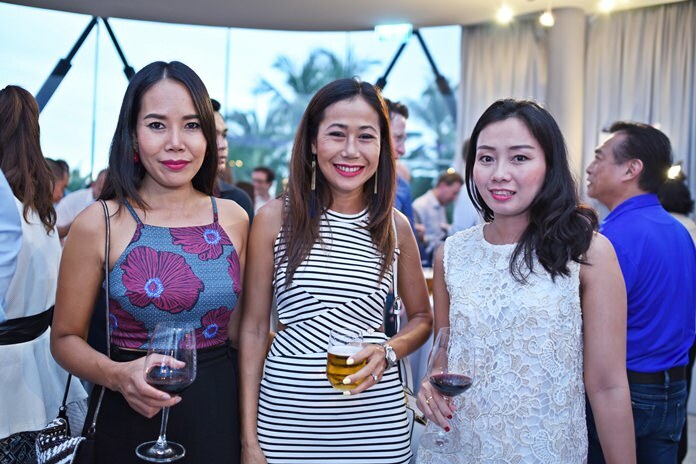 (L to R) Three lovely ladies, Nadia Swan, Chumhakan Kawla and Anamika Prompanya.